When Satya Nadella took over the reins of Microsoft Corp., in February 4, 2014, the company was viewed as a lumbering giant that badly needed but sadly was unable to stir away from the course set by its previous CEO. While Microsoft still has to shake off the legacy of its Steve Ballmer era, the company has made considerable strides in focusing on cloud technology. 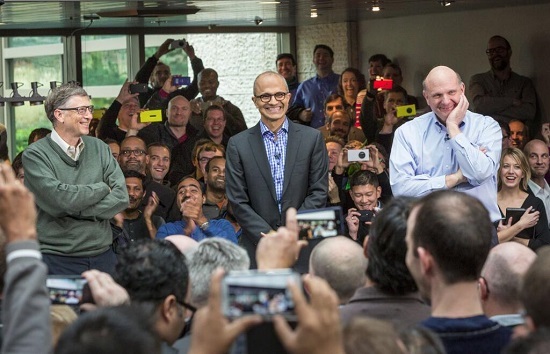 Nadella, however, is still faced with considerable challenges. For example, Microsoft has been left so far behind by other vendors in the mobile space and the company still has to convince its customers that it can deliver a Windows that will keep up with their needs and remain familiar at the same time. Technology journalist and author, Woody Leonhard outlined some of Nadella’s successes and slipups in an article for Networkworld. Leonhard said the push to put Microsoft products on every platform succeeded in making the company a player in increasingly platform-agnostic world. Nadella is also lauded for his move to develop versions of Office for Apple and Android devices as well as announcing OneDrive Albums and advance search coming to iOS soon. On the mobile space, however, Microsoft has failed to release any captivating devices and its Surface tablet still needs to realize its full potential. Then there is Nadella’s lamentable comment on good karma and women seeking a raise.